Many of us have never been able to talk about the hardships we deal with every day regarding weight. These support groups are full of people who understand and have experienced those hardships and can offer help to find solutions. They offer support to help each other stand strong while changing the course of our lives, taking control and beginning a new life full of hope, health and success. Our support groups are professionally staffed by our health educator. 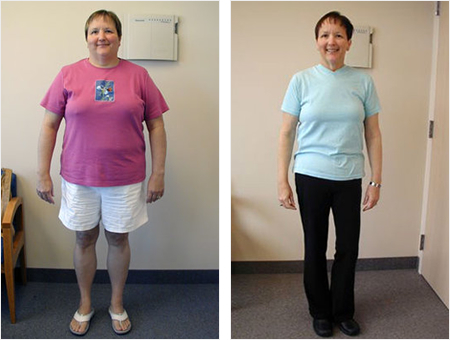 We work diligently to provide you with the tools you need to succeed to achieve and maintain your weight-loss goals. Support Groups are open to anyone who has had bariatric surgery. No need to RSVP. In 2013, our family nurse practitioner Reeger Cortell launched the Weight Loss Surgery Podcast as a by-product of her passion and caring for people suffering from the disease of obesity. Her podcast is a mix of professional musings, interviews with people who have had bariatric surgery, and interviews with professionals in the area of obesity medicine. The vision of the Society is to improve public health and well being by lessening the burden of the disease of obesity and related diseases throughout the world. The Obesity Action Coalition (OAC) is a nearly 50,000 member-strong national non-profit organization dedicated to giving a voice to the individual affected by the disease of obesity and helping individuals along their journey toward better health through education, advocacy and support. ObesityHelp.com connects you with people who have had or are considering bariatric surgery. This site has great personal accountability tools and resources to support you in your long term success. BariatricPal.com’s goal is to provide a unique platform for patients and potential patients alike that enables you to make informed choices involving your surgery decisions as well as providing you the support you need to meet your goals. The WLSFA is a nonprofit powered by Weight loss surgery patients & their supporters, bariatric surgeons & their staff, hospitals and corporations. Together they raise funds and gather resources to give away in the form of Surgery Grants to people denied access to the medical treatment of obesity. Over 65 million people have lost weight with MyFitnessPal’s FREE calorie counter. Get free access to the world’s largest nutrition and calorie database. I was able to drop 8 medications from the day of surgery and have not looked back! WOO HOO! I AM ECSTATIC! I feel so much better; I have more energy and recently was able to complete a 4 mile hike along the Oregon Coast without effort.